Hokkaido, the northernmost of Japan’s main islands gives you a sense of space, of wilderness and of untamed nature, thanks largely to its many national parks and large stretches of uninhabited spaces. In winter, it becomes a wonderland of ice and snow and people flock to its ski resorts or to see the extraordinarily creative snow and ice sculptures of the Sapporo Snow Festival that takes place in Hokkaido’s capital every February. Autumn arrives earlier in Hokkaido than in the rest of Japan, so you are more likely to see the turning of the leaves here first. But it is also colder than the rest of Japan and can snow in autumn. Don’t be deterred, it’s a wonderful season to visit. While most visitors arrive in Hokkaido by air, there is a land link to its near southern neighbour Honshu – the Seikan Tunnel which was dug under the Tsugaru Strait. A new Shinkansen or bullet train inaugurated in 2016, passes through this tunnel to link Hokkaido with Tokyo and significantly reduces the travel times. Unlike the other densely settled parts of Japan, full control of the island by the Japanese central government was only completed after the Meiji Restoration in the mid-19th Century and in 1869 it was given the new name Hokkaido. This control was extended in order to meet a perceived threat of Russian expansion from mainland Vladivostok. Known for many years by the name Ezo, Hokkaido is home to the indigenous Ainu people and many names on the island have their origins in indigenous languages including that of the capital Sapporo. We visited the Poroto Kotan Ainu village where tourists are given explanations of Ainu culture and can wander through the houses and structures. Less appealing are the few brown bears, significant in Ainu life and ceremonies, that are kept in the village in tiny cages. A visit to the very informative and well laid out museum that presents the history of the Ainu people is worthwhile. 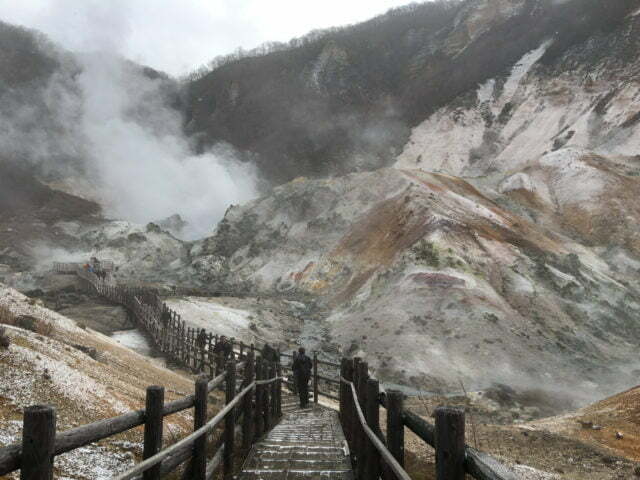 Of all the wonderful sights and attractions of Hokkaido, its volcanoes and natural hot springs, are the most impressive. 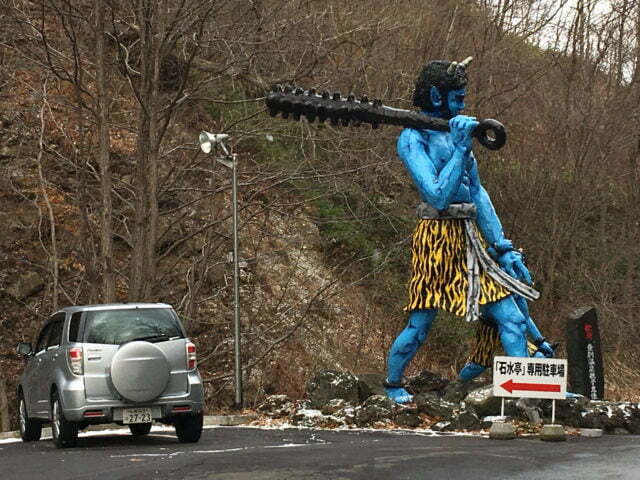 Noboribetsu is famous for its hot springs. A small town in the south of Hokkaido, it is easily reached by train from Sapporo. Set in mountains that are volcanoes, it attracts those who seek the healing and relaxing waters of some of the best onsen in Japan. When you arrive in Noboribetsu you see a huge statue of a blue demon bearing a black club, like a vision from hell. And indeed when you begin to walk around you seem to enter the underworld. 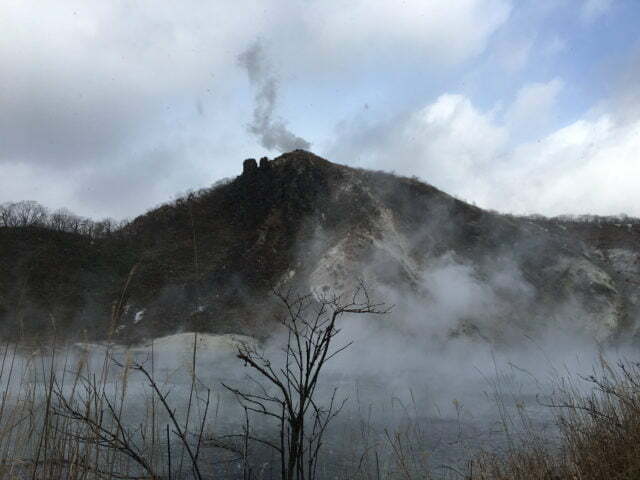 Active ochre-mantled volcanoes spewing plumes of steam surround you. 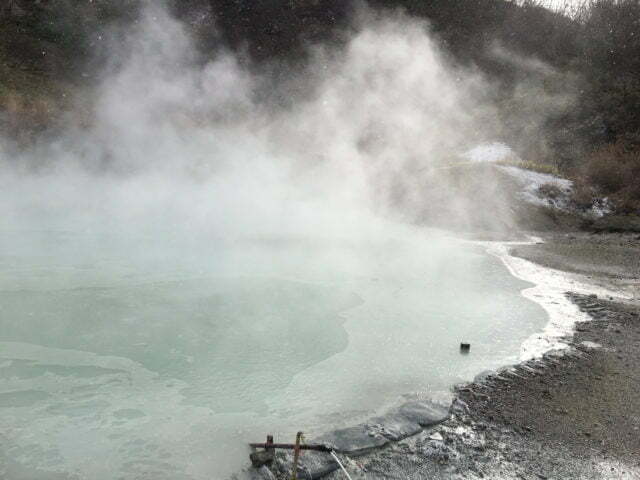 Nearby in craters there are cauldrons of bubbling, sulphurous liquid. Geysers periodically erupt in a shower of boiling water. The association of this area with hell is understandable but inaccurate. Its stark yellow, pink and green-clad landscape is beautiful. You marvel at the remarkable volatility of the earth beneath your feet. 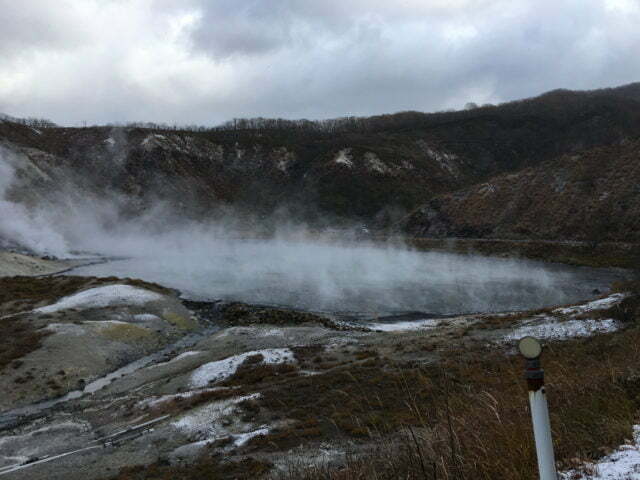 Taking a walk in the light snow of late autumn along the many pathways through the Shikotsu-Tōya National Park, including the one to Jigoku-Dani (Hell Valley) a huge geothermal crater, is exhilarating. 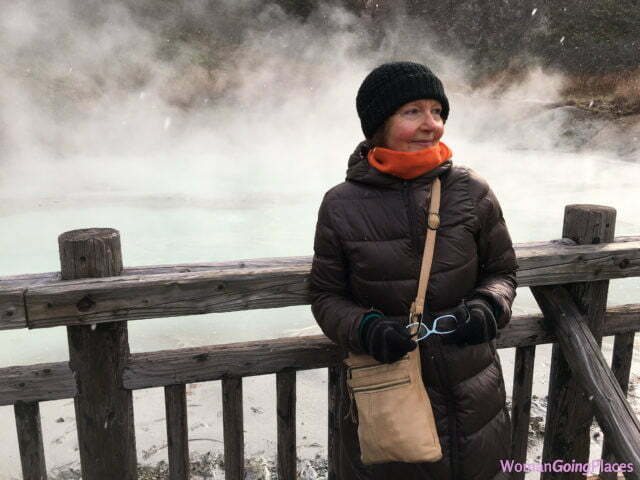 There are boardwalks to the geysers and at the Oyunuma Brook, a place where hikers can sit and bathe weary feet in a naturally hot stream. Afterwards, you can relax in the luxurious onsens of the nearby hotels. 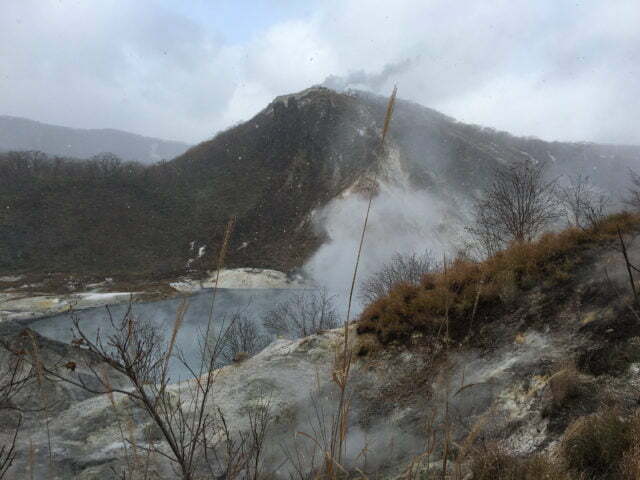 Noboribetsu offers a wide variety of natural hot spring waters in which to bathe. 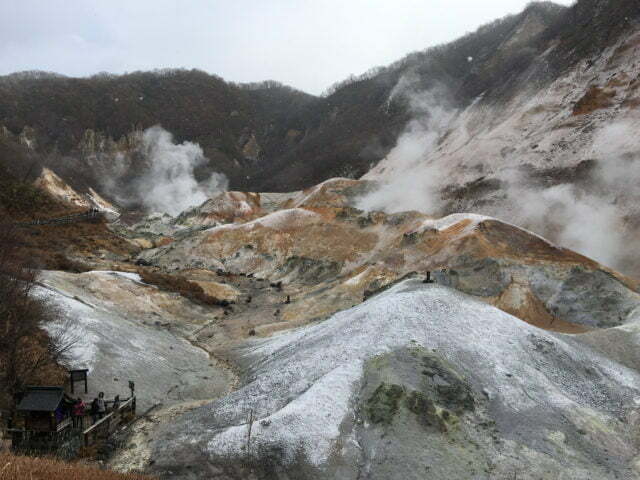 The different minerals in the various onsen are said to relieve and cure health problems. The Dai-Ichi Takimotokan Hotel is enormous and may get no prizes for beautiful architecture, but it provides spacious and attractive rooms (especially the Japanese-style rooms), excellent and abundant choices of food, and a multitude of health spas – 35 large and small pools with 7 types of hot springs. There is also a 25 metre swimming pool and waterslide. Our favourite was the women’s open air spa – chill air meets hot bath, a match made in heaven. The port city of Hakodate, the third largest city in Hokkaido, has attractions that reflect its colourful and turbulent past. It was the first city in Japan whose port was opened to foreign trade as a result of U.S. Commodore Mathew Perry’s expedition in 1854. The Tokugawa Shoguns who ruled Japan, had for two centuries pursued an isolationist policy that prevented foreign countries access to Japan. When Perry sailed into the Japanese harbour with five ships to force the re-opening of Japan, he overturned this policy. Surrender to Perry’s demands dealt a great blow to the authority of an already weakened Shogunate. 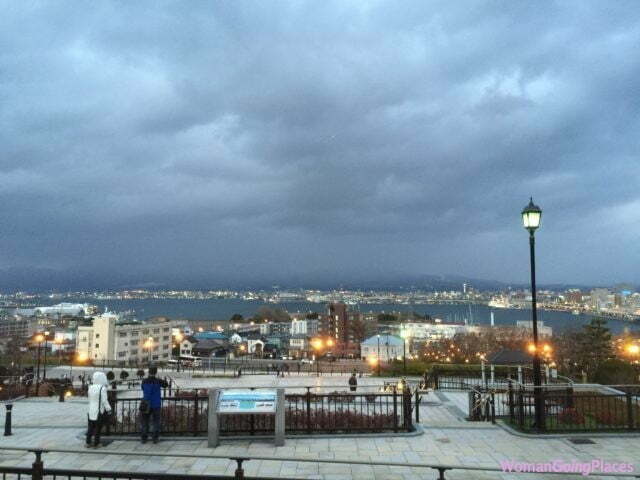 One consequence was a war in 1869 when Hakodate became the site of the last stand of supporters of the Shogunate against the restoration of the new Meiji imperial authority. The focal point of this stand was the Goryokaku Fort. Don’t miss touring this area. 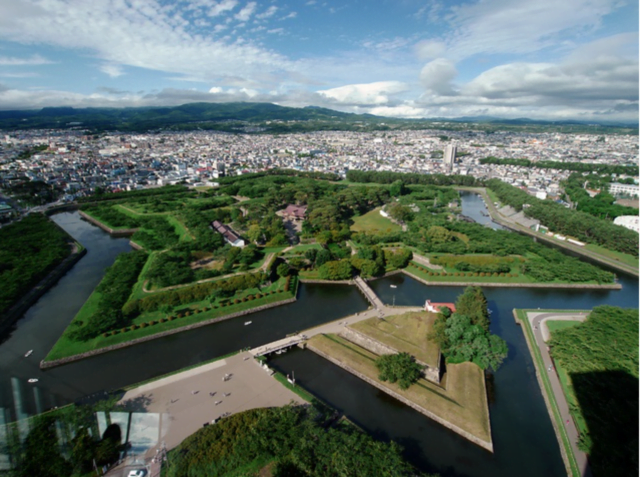 Its chief attraction is the five-pointed star shaped Goryokaku Fort modelled on 16th Century European citadel towns and completed in 1864. Its thick stone walls are surrounded by a moat and the 1,600 cherry trees planted in its grounds make it an extraordinary sight in spring. It’s an impressive sight in any season and can be best appreciated from the observatory in the Goryokaku Tower nearby. The new Goryokaku Tower was built in 2006 as an observatory in order to give visitors excellent perspectives onto the Fort from a height of almost 100 metres. It also has a very well-presented graphic exhibition of the dramatic events that shaped the history of Goryokaku from the arrival of the American fleet until the surrender of rebels to the forces of new Meiji central government in 1869. This narrative has all the excitement and adventure of hopeless causes with its larger-than-life characters and doomed heroes. Indeed a bronze statue commemorates the handsome and dashing young rebel leader who was shot and killed in a final assault by rebel forces. The Tower also has a cafe and Observatory shop. Well worth a visit is the reconstructed Hakodate Magistrate’s Office (Hakodate Bugyosho) in the Fort’s grounds. The original office was the Edo Shogunate’s administrative centre for the Ezo (Hokkaido) region and was dismantled after its collapse. In 2010 after a four year effort, it was reconstructed just as it had been using the exact same materials and traditional Japanese techniques that had been employed in the original structure. Craftsmen skilled in traditional Japanese carpentry, plastering and roof tiling were brought in from all around Japan. You cannot help but admire the superb craftsmanship and attention to every tiny detail of this beautiful building. A fascinating video of the rebuilding process is part of the exhibition. Walk up the hillside from the port and you are in the Motomachi neighbourhood. The area provides a wonderful view over the port and bay, and is a snapshot of times past. 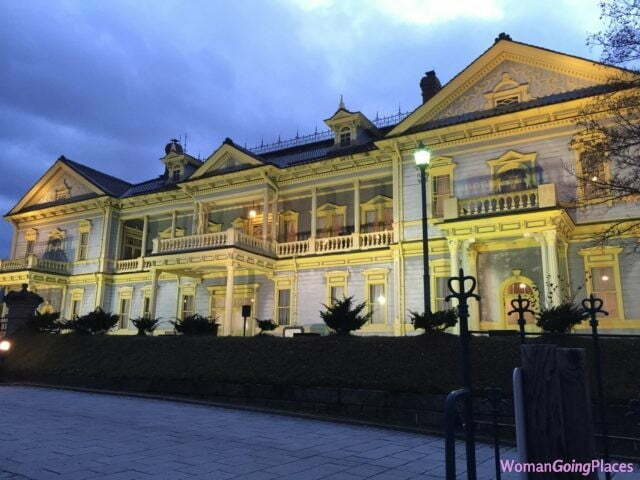 Impressive Western-style houses set in beautiful gardens, churches – the Russian Orthodox Church and other historical missionary churches, including Anglican and Catholic – as well as public buildings such as the Old British Consulate were built here at the foot of Mount Hakodate by the foreigners from Russia, China, the UK and other Western countries who came to seek their fortune in the newly-opened Japan of the mid-19th Century. At night, the churches and buildings are illuminated. 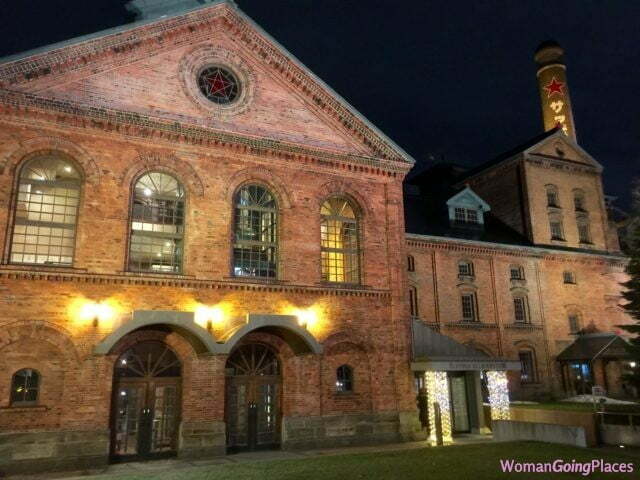 Of particular note is the Old Hakodate Public Hall. 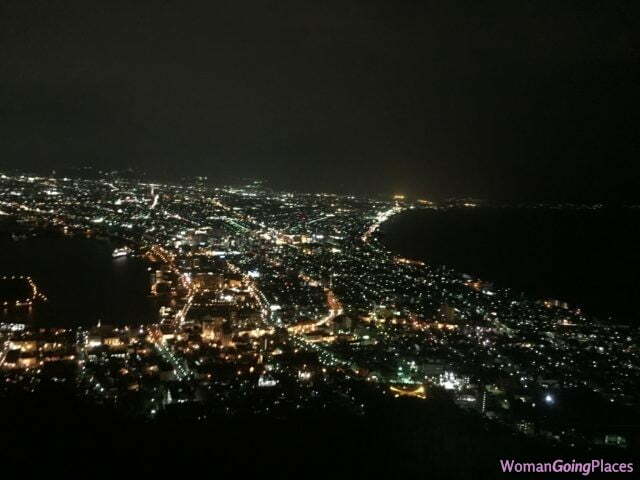 It’s worth going for a wander at dusk and then walking to the near-by Mount Hakodate Ropeway station to take the cable car up the mountain to see the spectacular night view of the city and peninsula. Hakodate is famed for excellent seafood. This bounty can be seen at the morning market (Asaichi) which is very near the JR Hakodate railway station. Some 300 stalls are spread across four city blocs selling the freshest and most abundant variety of seafood and other produce. Restaurants in the market tempt visitors to taste their specialties. The market is held daily from 5am to 2 pm. Another interesting area where you can wander and dine in the evening is around the red brick warehouses next to the port. They have been re-developed into an attractive area of restaurants and shops. Sapporo, Hokkaido’s capital, is a thriving pleasant city of almost 2 million people set on a grid pattern that is easy to navigate. Below the city centre, there is a network of underground shopping malls, plazas and public transport that make it possible to live and go about business in the city without suffering the extremely cold winter. For this reason it has attracted many retirees from other parts of Japan despite the colder climate. Sapporo is probably best known around the world as the original home of its eponymous brand of beer. Indeed, you can order a variety of beer available only in Sapporo at the Sapporo Beer Gardens, which is part of the Sapporo Garden Park where you can also visit the Sapporo Beer Museum. All these refurbished red brick buildings are part of the former brewery. Sapporo gained worldwide attention for hosting the Winter Olympic Games in 1972, the first in Asia. Winter is still an important season in Sapporo because of the annual Sapporo Snow Festival held in February and its astonishing mammoth ice sculptures. Skiing is also an attraction because of the availability of ski jumps in the city and its proximity to the Niseko ski resort. There are plans to extend the bullet train service from Tokyo that presently stops at Hakodate to Sapporo in the next few years. At present, most people arrive in Sapporo by air.